Suitable for measuring, marking out,laying out etc. For a 90 degree Angle between the rulerand the handle, after the upper plane of handle and the ruler are parallel, tightenthe nut. 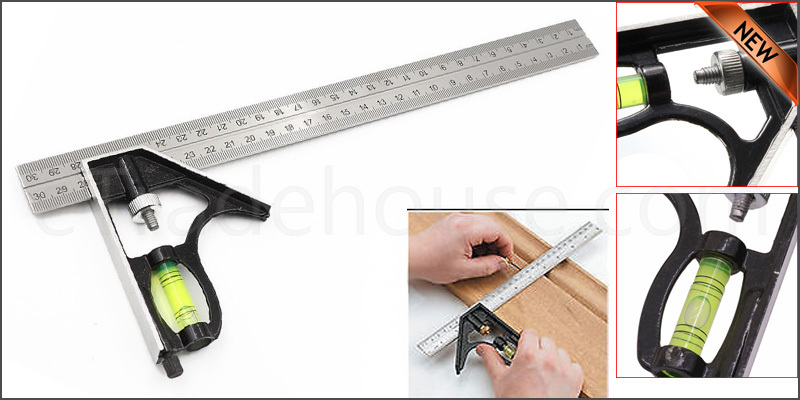 When you want to move your handle, firstloosen the nut and pull it down, let the handle loosen with the ruler.